In this case, "wreaking havoc" means that they are randomly running around Harvard Square and refusing to be orderly. You definitely don't see this everyday. 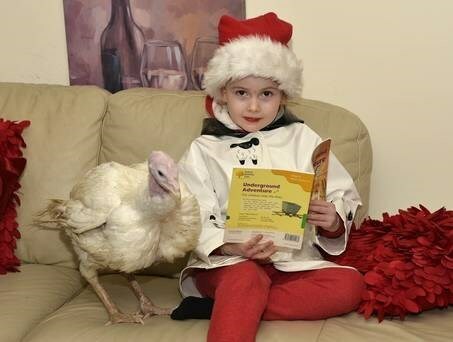 All Athena Bryson wanted for Christmas was a new pet, but not just any animal would do. She decided she wanted to save a turkey from becoming Christmas dinner. 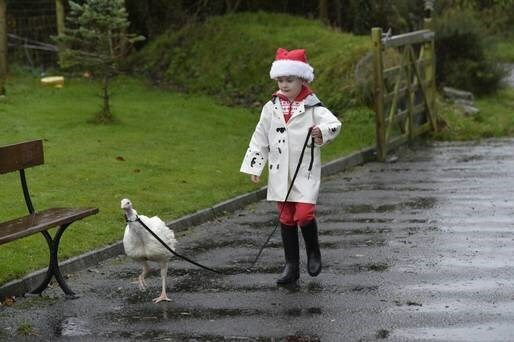 Now Valerie the turkey spends all her time as a house pet in this Northern Ireland home. She seems very well behaved, maybe she's knows just how lucky she is. Athena's mom managed to find a farmer who was willing to spare a turkey for a pet just one day before she was scheduled for slaughter. Now Valerie will live comfortably with the Bryson family for the rest of her life.